A modern take on the classic platform pedal style. DMR provides a large pedal body area and DU bushing system aimed to provide riders with control, durability and serviceability. Thin 16mm depth and concave body design. 4130 chromoly axle with serviceable, dual DU bushings,10 tuneable pins per pedal side. Large, die-cast aluminum alloy platform profile for more surface area and improved grip. Color: Polished Silver. Weight: 480. Pedal Spindle: 9/16". Spindle Material: Chromoly. Pedal Type: Platform. Defined Color: Silver. Pedal Body Material: Aluminum. 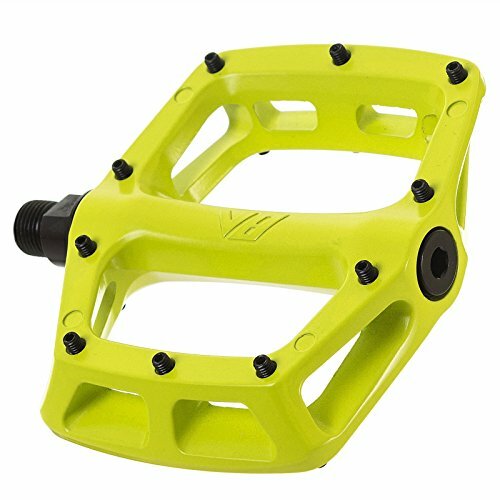 Having a place to put your feet is a pretty non-negotiable part of cycling, but, you don't want to spend your post-ride refreshment budget (and part of next month's rent) on flashy pedals, either. 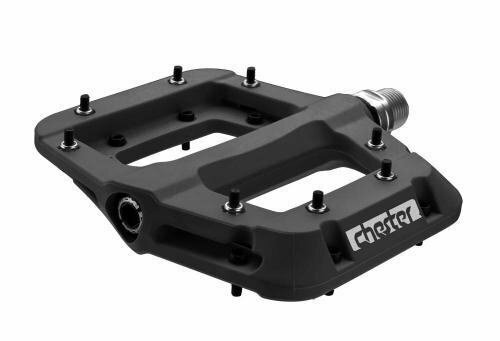 Race Face's Chester Pedals don't have the shiny aluminum construction of some of their pricier counterparts, but they also won't empty your wallet, and Race Face carefully constructs their nylon composite body to make it just as grippy and responsive as aluminum versions. Using eight replaceable steel hex traction pins on each side of the pedals, Race Face gives the rubber soles of your shoes a place to hang on when you're blasting through destructive territory. It also fully seals the bearing and bushing system while a durable Cro-Mo steel axle keeps the pedal working smoothly for as long as possible. If it eventually does need some work, Race Face makes the system completely serviceable too, so you won't be forced to replace a perfectly good pedal because of a bushing or bearing problem. A modern take on the classic platform pedal style. DMR provides a large pedal body area and DU bushing system aimed to provide riders with control, durability and serviceability. Thin 16mm depth and concave body design. 4130 chromoly axle with serviceable, dual DU bushings,10 tuneable pins per pedal side. Large, die-cast aluminum alloy platform profile for more surface area and improved grip. Color: Blue. Weight: 480. Pedal Spindle: 9/16". Spindle Material: Chromoly. Pedal Type: Platform. Defined Color: Blue. Pedal Body Material: Aluminum. A modern take on the classic platform pedal style. DMR provides a large pedal body area and DU bushing system aimed to provide riders with control, durability and serviceability. Thin 16mm depth and concave body design. 4130 chromoly axle with serviceable, dual DU bushings,10 tuneable pins per pedal side. Large, die-cast aluminum alloy platform profile for more surface area and improved grip. Color: Black. Weight: 480. 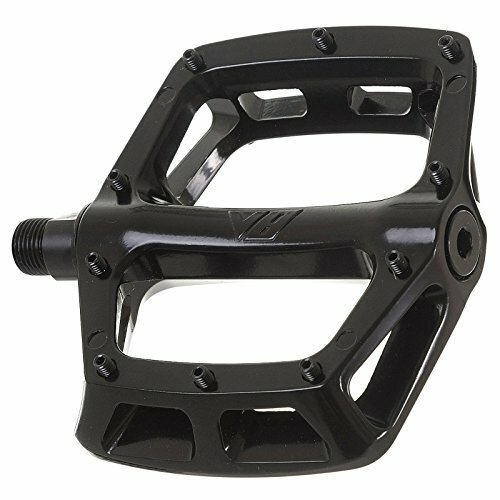 Pedal Spindle: 9/16". Spindle Material: Chromoly. Pedal Type: Platform. Defined Color: Black. Pedal Body Material: Aluminum. 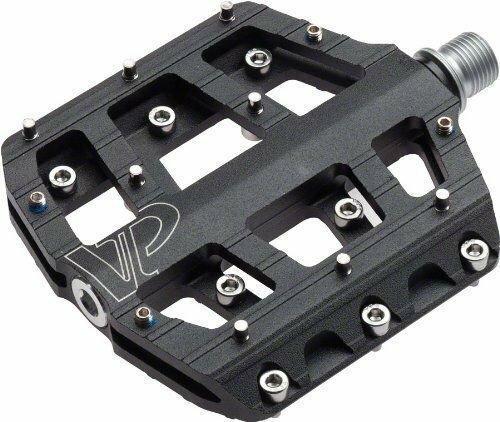 DJ, BMX, All-Mountain, DH, Freeride, pub crawls, the VP VICE is the flat pedal that performs and looks good! Large platform is light and low profile reducing impacts with rocks and roots. It features a Forged and Heat Treated Cromoly Axle and LSL and Sealed Cartridge Bearings. With 12 pins per side, the VP VICE is engineered to give you grip no matter what. VP Vice is fully rebuildable wth the available Rebuild Kit and you can also drop 70 grams off of the set with our Forged Titanium Axle upgrade kit. 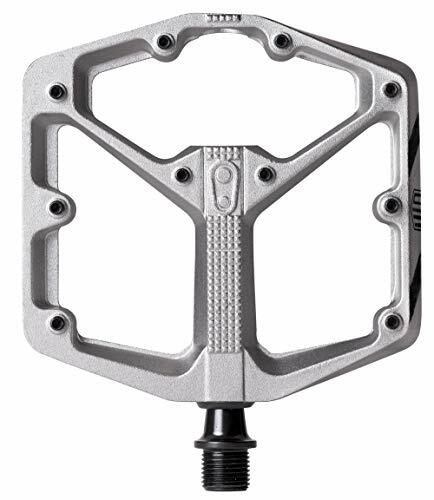 Regardless if you're new to mountain biking or a top-level rider seeking a solid pedal for dissecting technical terrain at high speeds, the Crank Brothers Stamp 3 Pedals perform admirably with their size-specific design, bombproof durability, and ten adjustable pins for greater traction. 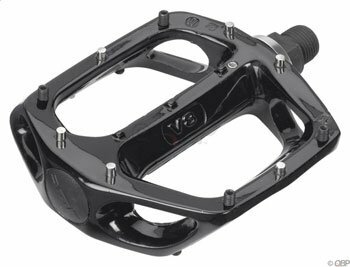 The Stamp 3 Pedals are available in both small and large versions, with the small accommodating riders with feet sized five to ten and the large working best for riders rocking feet larger than size ten. 6061-T6 aluminum maintains rugged durability from rock strikes and accidental bashings on the trail, while the premium bearings and seal system keep nasty grit and muck from compromising their smooth feel over time. Since they're only 16-millimeters thick, you'll find they're not as chunky as older platforms from the past, with a slightly concave design hugging your shoe, so it doesn't accidentally slip off. 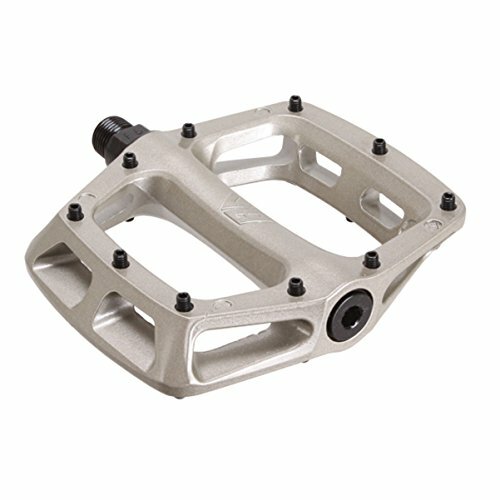 Looking for more Dmr V8 Pedals similar ideas? Try to explore these searches: Badger Open Bottom Pant, Mermaid Diary, and Maple Walnut. 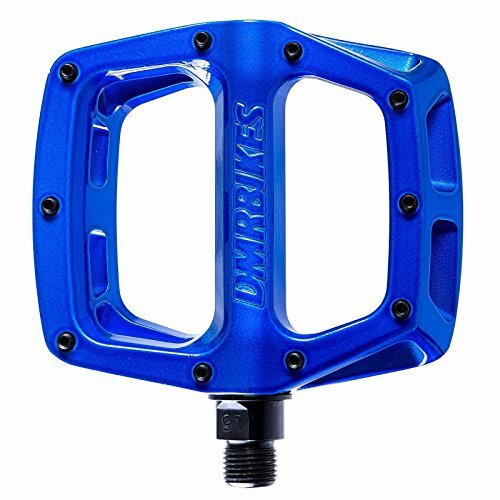 Look at latest related video about Dmr V8 Pedals. Shopwizion.com is the smartest way for online shopping: compare prices of leading online shops for best deals around the web. 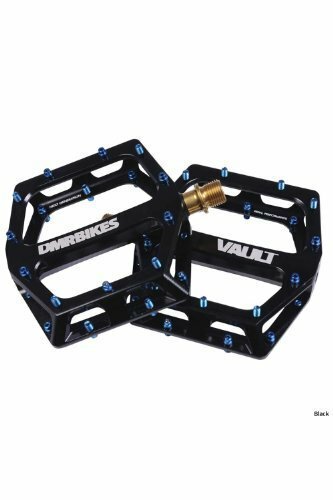 Don't miss TOP Dmr V8 Pedals deals, updated daily.